SLR type bodies to the silver ones for practical and aesthetic reasons. display. It just got in that very morning. and worry about breaking that RM 10,000 lens. saw it. The size is awe inspiring as well – it’s 120 x 57 x 69 mm. you can slip a Nikon 7900 in and you won’t even notice the difference. 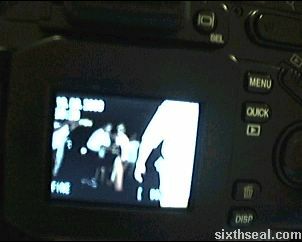 of the Nikon 5700 for so long. function which does facial recognition and focuses on faces and people. two different digicams for different situations. 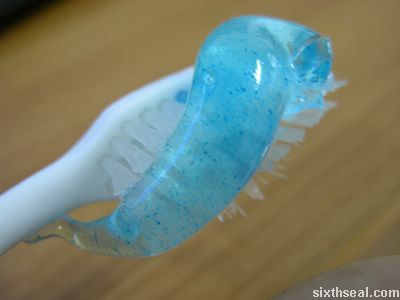 (I’m right handed) via the strap rebound. 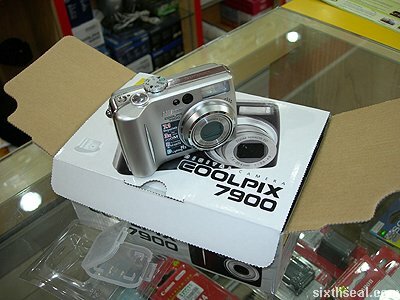 thing is the Nikon 7900 also has internal memory so you can take shots even when the SD Card is not in. I like the leather belt strap though…that’s how I’m carrying it now. 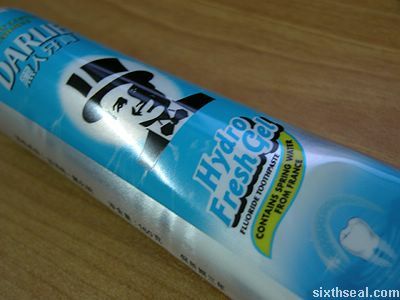 I can tell you one thing though…this ain’t your grandma’s dental hygiene product. 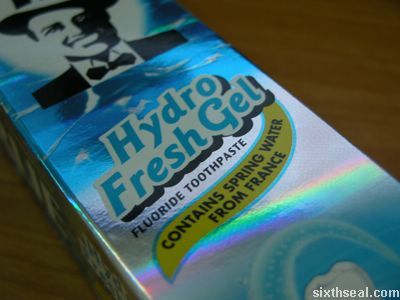 where the manufacturers of toothpaste in France get their water from. 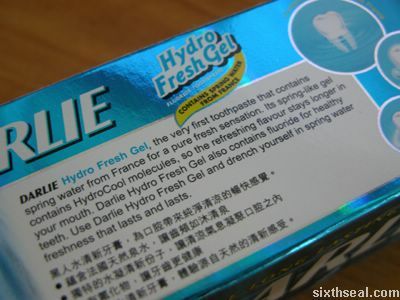 Use Darlie Hydro Fresh Gel and drench yourself in spring water freshness that lasts and lasts! it won’t detect a USB digicam connection and mount it as a new drive. Sharp Things on both ends while in a trance. Anyway, I can’t upload the photos today, so tomorrow it is then. probably be the way I’ll be carrying it now. MB CF Card and most of the 128 MB one. P/S – Jasmine, thanks for your SMS, I couldn’t reply because the cell phone didn’t save the message after viewing. Sorry! I think I’m forgetting something but I don’t know exactly what…anyway, I’ll update tomorrow. another is I’m getting the price lists for computer accessories. always grasping at air. :) Yeah, a digicam would be my first priority. 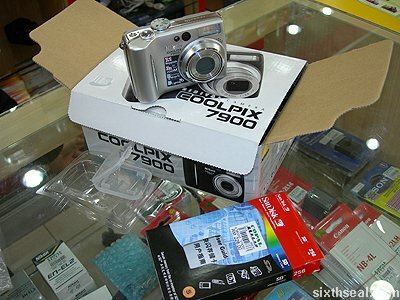 good as it gets, considering most shops retails it at RM 3999.
without someone asking me “Eh, yau loi yan mou? 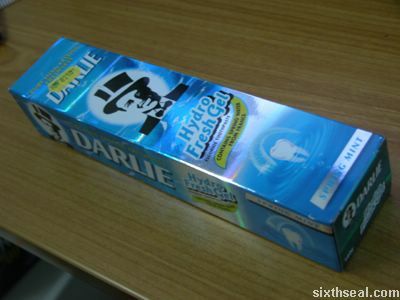 Yau hou sang ga.”. coz I thought the two businesses are somewhat interrelated in Malaysia. I’m glad it’s not. Disclaimer: I was only asking for fun, I do not possess or consume any illicit drugs. my assignments done first anyway. I’ve changed the webcam picture above with a Picture of the Day. the quality to improve. As the name suggests, there will be a new one everyday, so hit Ctrl + D.